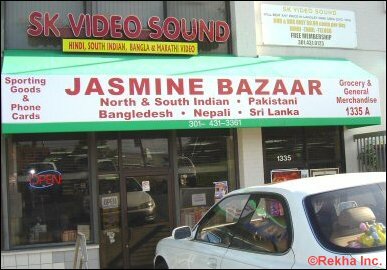 About 15 years back, Silver Spring was the major shopping center for Indians living in Maryland. Indians would head to Silver spring to purchase Indian grocery, eat at an Indian restaurant and for a festive occasion like Diwali or a wedding purchase new clothes and jewelry. But things have changed today in Maryland. 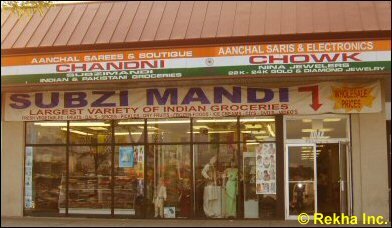 The Indian community has expanded so much that you can now find Indian grocery stores in Columbia, Rockville, Gaithersburg and other parts of the state as well. 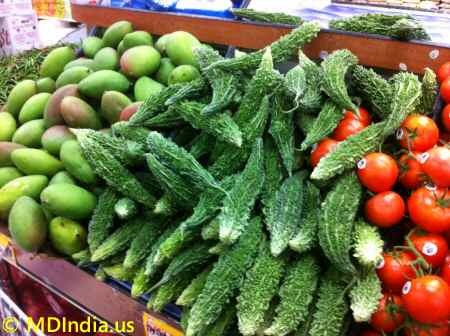 Most Indian grocery stores in Maryland also carry vegetables that are not easily available at American stores. These are stuff like Karela (bittergourd), Curry Leaves, Turmeric Root, Betel Leaves etc. 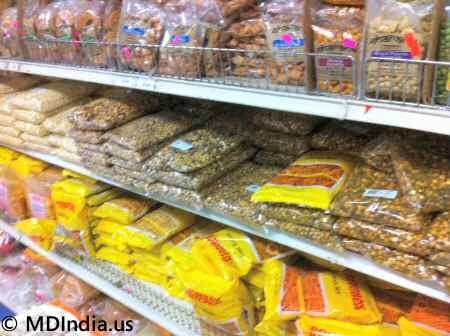 Of late, Indian grocery stores in Maryland have expanded their frozen food section. You can see ready to eat Masala Dosa, Idli, Vada, Palak Paneer, Garlic Naan, Channa Masala, Baingan Barta and a variety of other Indian curries. Plus, there's the usual Indian cold drinks like Thums Up, Limca, Frooti etc and our favorite Malai Kulfi Ice Cream.